This site highlights downtown office and retail space for lease in Elkin, NC. We only show inventory for properties owned by Kleinheksel Holdings, LLC. Our buildings in downtown Elkin feature restored wooden floors, 10’+ ceilings and many exposed brick walls. All electrical and plumbing has been updated and all roofs repaired or replaced within the past ten years. They are fantastic buildings and represent the best of the best in Elkin. 1800 sq. ft, hardwood floors, two private baths, 13′ ceilings, exposed brick. Incredible suite of offices overlooking downtown Elkin. 300 sq. ft, hardwood floors, private bath, 13′ ceilings, main flr, lots of windows. $500 / mo. + $50 / mo electric. Elkin? I’ve never heard of it. 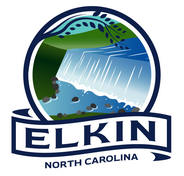 Elkin / Jonesville is a small community of 8,500, only a bridge over the Yadkin River separates the two communities. Anchored by the recently restored Reeves Theater to the west and the meticulously restored Liberty Building (sports bar, wedding and event venue) to the east, Elkin is in the beginning phases of a renaissance. It’s an incredible place to live, work and go to school.